The best camp spots in the US are free if you know where to look. After spending years of my life not paying a dime to camp, I’ve become a bit of a connoisseur of free camping in the USA. 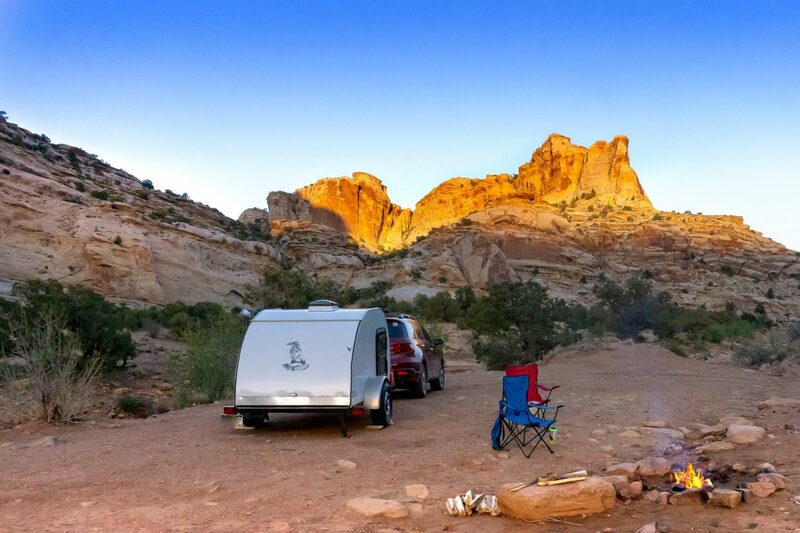 Finding free camping involves a simple process that requires a little bit of work up front, but offers a big payout for those who are willing to do a little research. What is Free Camping in the USA Like? First, be sure camping is allowed. Always double check with a ranger (you can call if you don’t know) or good old Google can help you find free spots to rest your head. Leave it better than you found it. Be sure to comb through camp and pick up any glass, trash, bullets (yes bullets…hey I’ve even found used needles at camp spots) and any other waste. Use the bathroom 200 feet or 70 adult steps from camp. Set up a designated potty area. Dig a hole six inches deep and do your business. Pack out the toilet paper – scavenging animals will dig it up and make a mess. Keep all food and trash stored in your vehicle at night. Bears can open coolers, foxes will rip up trash bags and no one wants a mess. Only camp in designated spots. Never set up a new camp spot and use what is already established. Follow all regulations, especially fire bans, while enjoying free, dispersed camping. Use Google to check with the local ranger station to get the most up-to-date regulatory information. Learn more about environmental stewardship with this guide to Leave No Trace. 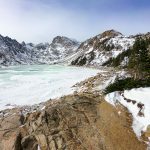 What Do I Need to Know About Free Camping in the US? There are many different options when it comes to free camping in the US. Aside from the lack of amenities (although some BLM camp spots do have communal toilets), you should also understand what type of land you’re on. Free camp spots are littered throughout designated areas in BLM land, National Forest Land and even some wilderness areas. Many of America’s trailheads allow for free camping right in the parking lot, if you have an RV, van or vehicle you can sleep in. Managed by the Department of the Interior, BLM land offers some of the nation’s best camping. For the most part, free camping is allowed on BLM land in previously established, designated sites. These sites vary in quality, but in general, they offer some spectacular camping (we’ll get to where to look in a minute). Aside from BLM land, National Forest Land also offers a wide array of free camping. Unlike BLM land, National Forests are regulated by the Department of Agriculture. National Forests often have areas where they offer free camping and it is not allowed everywhere. Always check with a local ranger district or the local National Forest website for up-to-date information. Here’s a little secret: National Parks are almost always surrounded by a buffer zone of National Forests. These forests are littered with free camping right near the park entrance. Bryce Canyon was a personal favorite, take the last right before the park entrance for several quick-and-easy camp spots. Here’s what you need to do to find free camping near National Parks. If your search results are empty, Google “X National Park Park Entrance” and start your search from there. Look for camp spots – these are usually obvious pull-offs with little black dots to indicate fire rings or people currently camped in them. Scan around until you find one you like. If you don’t have a road, look for a dirt road nearby the park entrance and follow the road looking for camping. Drop a pin by clicking on the campsite. A window will pop up on the bottom of the page, click the coordinates (bunches of numbers). Now you can get directions – send them to yourself to have them on your phone. Here’s an awesome guide to the North Rim of the Grand Canyon, free camp spots included! Now that you have the basic strategy down for finding free camping in National Parks, you can apply this to any area. All you need to do is find a trailhead, monument, or area of interest on the map (alternatively Google “free camping near X”). Turn on satellite view and repeat steps six through nine. If you have a van, RV or any other vehicle you can sleep in, Google if free camping is available at trailheads. This is especially handy if you’re looking for a quick stop or you want to avoid waking up super early to start a hike. I would not recommend camping at trailheads if you want to get out for an entire weekend. If nothing pops up and you search the general area, there may not be any free camping around. This typically happens when you are looking for camping near populated areas, extremely remote areas (think in the plains region) or camping is explicitly prohibited. There are a few quick rules of thumb when it comes to finding the EPIC camp spot. Sure, it’s simple to snag a quick place to rest your head, but if you’re truly looking for that secret spot, keep these things in mind. Look for a feature. Think rock formation, opening in the trees, nearby mountain, anything really. Features are easier to spot in open landscapes. Rocks and trees help protect from the wind. The big vista might not be the best spot. Weather dictates if camping near big vistas is a good idea – remember to look at the wind! Nothing ruins a camp quite like a strong, persistent wind. Avoid being too high or too low. Cold air settles in valleys overnight and ridgelines are prone to windy beatings. Aim for something in the middle or something that offers protection from the elements. Stay away from the pavement. Often the best spots are a little tricky to get to. Look down dirt roads for more seclusion. Be sure your vehicle can handle the task at hand. Often times, roads to epic camping require at least all-wheel drive and a little off-road know-how. Look for big rocks, ruts or obstacles (dark shadows often indicated steep, quick drops in a road). If you can spot these things on satellite, you better believe they will give you a run for your money. Seek level ground. Using terrain mode on Google Maps can be an indicator of the grade or steepness in the area you’re looking. 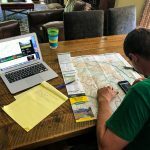 It isn’t the greatest (punching in the coordinates into a GPS app is better), but it will give you an idea if you’re ideal location is a camp spot or turnout for tight roads. Always have a backup plan. Sometimes you get to a campsite to see that it isn’t what you expected or its taken. Keep a tally on how many sites are in an area. 22 fantastic desert camping hacks to create the perfect base camp. Now you’re ready to find free camping in the USA. Repeat this process whenever you venture out and never pay for another campsite again. This season, get into free dispersed camping and find your perfect perch. Get outside. Have an adventure. Explore your world. I'd rather be dirty than done up. 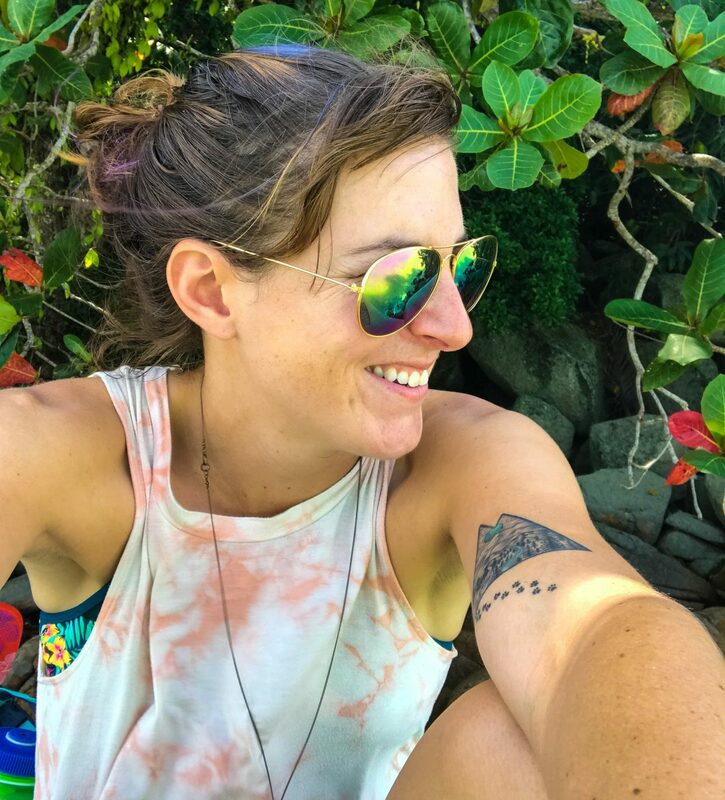 Meg aka Fox is a 30-something true-born adventurer and enthusiastic storyteller. Exploration pulses through her veins. As an avid outdoors enthusiast and world traveler she's determined to discover the remote corners of the planet. She'd rather be dirty than done up. Let’s start a belaytionship. Join the other 8,469 outdoor enthusiasts and get a free guide to photos on the fly. Get the inside scoop on taking the perfect photo without the fuss. Go Like A Pro: What's Really Up with Female Urinary Devices?